When you hear the words cotton candy you probably think of a fluffy sugary treat that only has a few flavors. Well the food department at Kings Island have decided to change that perception as they have created several speciality flavors. This was something that was first introduced at Winterfest and has now continued on during the 2018 season at the Sweer Spot. 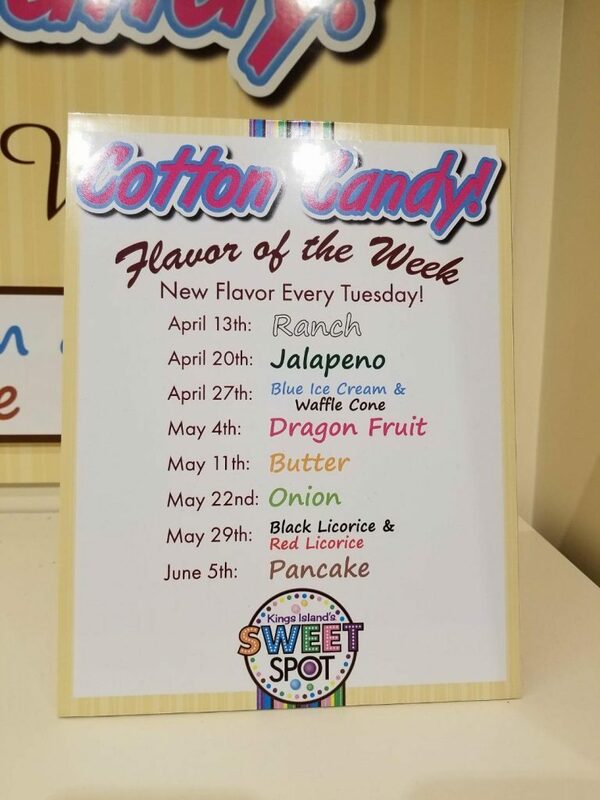 Throughout the next few months starting on Tuesdays they have a specialty flavor of the week. The flavors range from ones that sound good to ones that don’t. 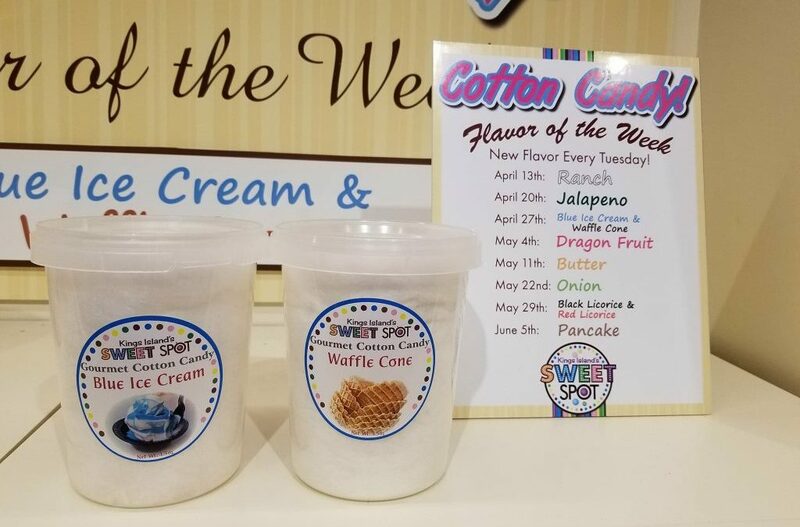 At the time of this post we have had the opportunity to try flavors such as Blue Ice Cream, Strawberry Cheesecake, Spiced Apple Cider, and Ranch (yea ranch). As you would expect Blue Ice Cream was really good and tasted like the delicious ice cream Kings Island is known for and Ranch was weird as it had a strong Ranch flavor that was also sugary. 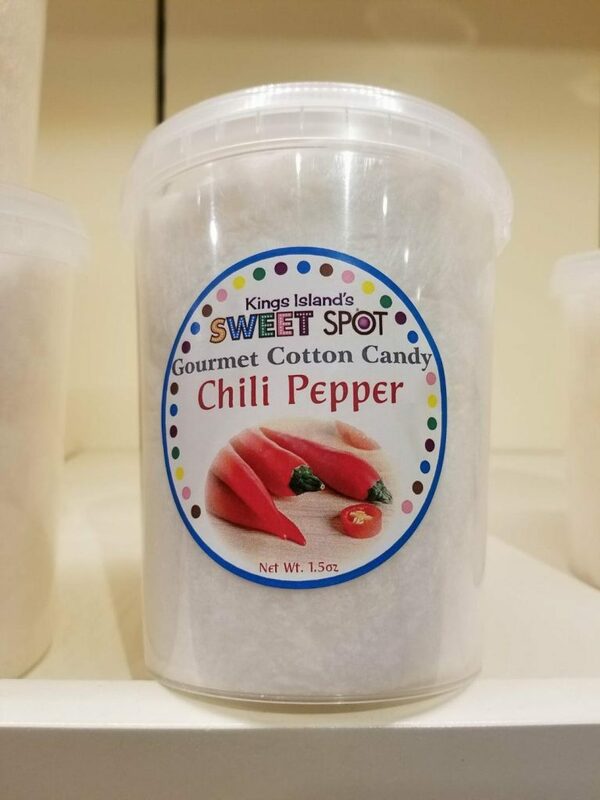 In addition to the flavors of the week they also have had other flavors such as Sour Apple, Chocolate Strawberry, and Chili Pepper. Each of the speciality flavors cost $2.99. Don’t worry you can still get regular red and blue cotton candy as well. 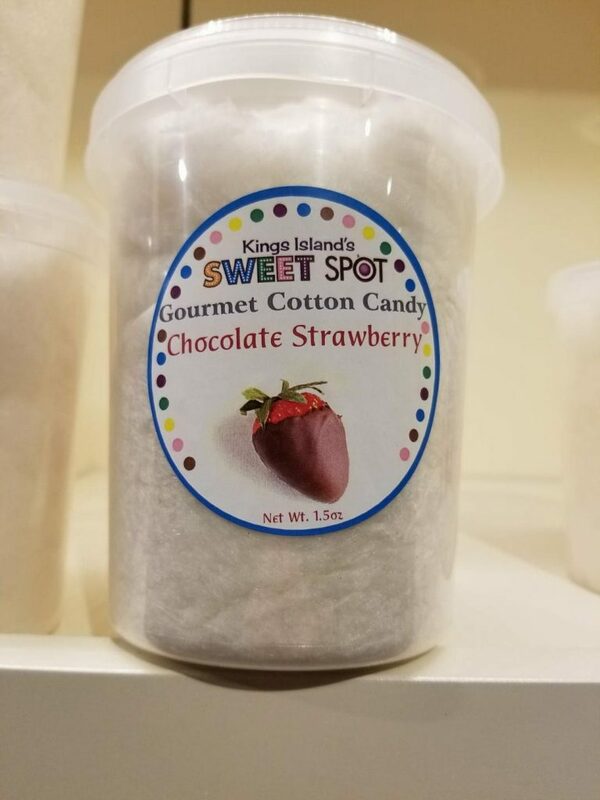 So make sure to stop into the Sweet Spot at Kings Island to see what flavors they have, we know we will be.